I built a new PC recently but I've been having problems. Everything other then the SSD is brand new, which come from my old build. I've had problems from the start, to begin with the machine would turn itself off whenever I ran a game, but in the end I plugged in 2 different PCIe plugs instead of using a daisy chain off 1 rail, which solved the problem. But afterwards, very rarely, my monitor would lose signal, sometimes after 10 seconds the picture would come back, other times the fans would absolutely take off and the picture would stay off, causing me to turn off the PC. I made sure all my drivers and BIOS, motherboard and GPU, were up to date, but the problem kept happening, I even tried undervolting the GPU to see if that helped. Last night I had 2 black screen within 30 minutes, 1st time, the picture come back, 2nd time it didn't. I noticed I was using the beta/optional radeon drivers, so I uninstalled them and put on the tried and tested version, which seemed to be going well until earlier today. I decided to install Dark Souls 1 with the DSfix, worked fine for about an hour then I got a blue screen error, believe it was driver_irql. Didn't think much of it, just put it down to bad DSfix settings. Reset the machine and tried Tomb Raider, got a blue screen within 2 minutes, reset machine, got another blue screen within a minute, doing nothing on the desktop. This happened several times. I then went into safe mode to uninstall the radeon drivers, but the uninstaller did nothing, it just sat there, I increased the screen resolution while this was going on and I got another blue screen. Long story short, I got several blue screens in safe mode. By now I've had enough and I just want to wipe the machine and reinstall Windows, I insert my USB installer and as soon as it tries to load Windows, I get more blue screens. Last thing I do is go into the BIOS and do a factory reset, now everything works and I'm able to install Windows, which is where I am at the moment. I've not changed much in my BIOS, the only thing I did change was to enable XMP. I don't know much about XMP but I was advised to enable it when I built my machine. After all this, the PC worked fine for about 4 days without a fault, untill today. I've had 3 black screens, but they've not lasted as long as the other black screens and they havn't resulted in crashes. Can anyone give suggestions on how to locate and fix this fault? Just had another black screen with the power limit turned all the way up. Again, I didn't get a loss of signal message the screen come back after a few seconds, so definately an improvement over the initial fault, but it's still happening. Do the following things then get back to me on if it helped or not, if this doesn't get it, it isn't the usual suspects. Some of the things I am going to suggest you may think strange, but trust me than can make a big difference. Finally, my fix for "Display driver amdkmdap stopped responding and has successfully recovered"
Only tried changing the displayport cable so far, but I had this wierd fault yesterday. 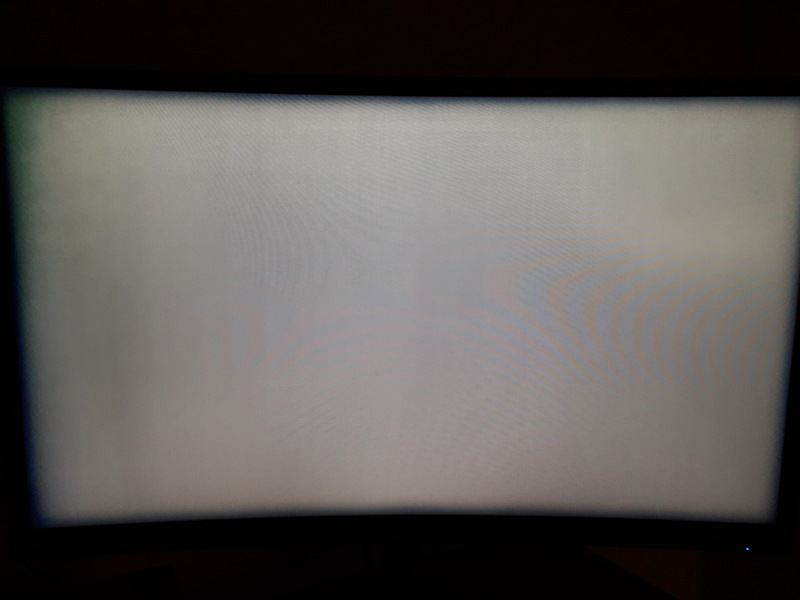 Playing a game and all of a sudden the screen went black, then slowly fadded to white.